Here's another nice one. 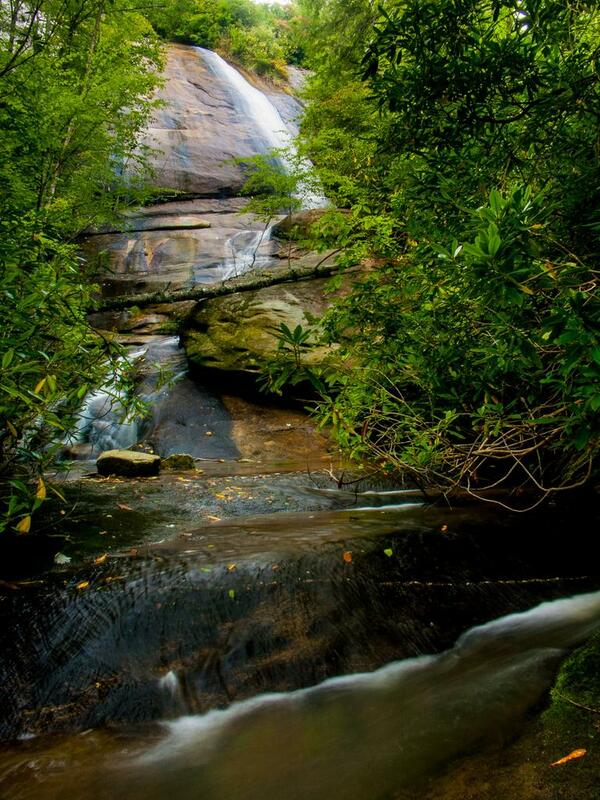 The falls, named Wilderness Falls but referred to often as "the falls on Double Knob Gap Branch", sits at the edge of a relatively flat valley, making it easy to get to and somewhat out-of-place. But it's here, and it's waiting for you to visit! Note: as of my last visit in September 2006, a piece of orange tape was hanging from a nearby rhododendron, labeled "8 x 8 viewing platform". I assume that meeans one is being built, and this view from the base may no longer be possible after that time. We'll see if it ever happens - the Forest Service scrapped a lot of plans in Panthertown Valley due to a lack of funding.